The Town of Fort Macleod is not open for business. At least for a few days while staff moves to the new location in the G.R. Davis Administration Building on 20th Street. The Town of Fort Macleod and Livingstone Range School Division are sharing the newly-renovated former school, which became surplus with the $18-million modernization of W.A. Day and F.P. Walshe schools two years ago. The town and school division established a formal partnership to share the G.R. Davis building at 410 20th St., with each contributing $2.5-million. 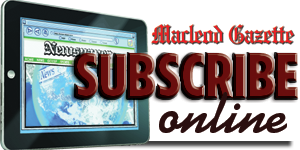 “We are on time and on budget,” Town of Fort Macleod chief administrative officer Sue Keenan said in a written report to council at its most recent meeting. The Town of Fort Macleod office located in the historic former courthouse on Red Crow Blvd. will close at the end of business on Wednesday, Aug. 8 and will reopen in the new building on Wednesday, Aug. 15. Fort Macleod Family and Community Support Services will also move to the new location from its office on Second Avenue during the same time frame. The school division will be moving in Aug. 15-17. The town and school division will share the reception area, council chambers, conference room, gym, kitchen and other areas. The Town of Fort Macleod will occupy the main floor of the old school. The town will have office space for the chief administrative officer, development officer, chief financial officer, administrative staff and community peace officers, as well as staff and meeting rooms. Livingstone Range School Division will occupy the top floor of the old school building. The school division will have offices for the superintendent, associate superintendent, director of learning services and other staff, as well as coffee and meeting rooms. Both the town and school division will have considerable storage space in the building. Walshe Crossroads Campus, an outreach school renting space at the 1884 North West Mounted Police Barracks provincial historic site, will relocate to the west end of the former G.R. Davis school. The Town of Fort Macleod moved into the historic former territorial courthouse in the 1970s, following the opening of the present courthouse. Once the Town of Fort Macleod has completed its move, Livingstone Range will undertake its move from its present office in Claresholm to Fort Macleod. The official grand opening and tours of the new joint Town of Fort Macleod and Livingstone Range School Division offices is 6 p.m. Tuesday, Sept. 18.